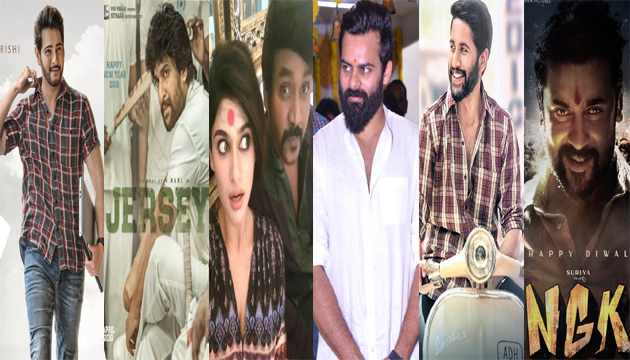 ﻿ April Month To Start Telugu Film Industry Summer On A High! April Month To Start TFI Summer On A High! Telugu Film Industry is getting ready for Summer test after Sankranthi. F2 emerged the winner and Akhil is testing his luck with Mr. Majnu on Republic Day. February and March doesn't have major medium budget movie releases as this year right from Prabhas to Chiranjeevi, every big hero is taking a huge risk and they are hoping to find suitable dates for their huge budget films. Ram Charan already released his film for Sankranthi and he, Tarak will only come in 2020, in the direction of SS Rajamouli. Prabhas has Saaho for 15th August weekend and Chiru's Sye Raa is expected to come around Dasara, for now. Allu Arjun and Trivikram film could start in March or April. The movie will release during Dasara or Winter holidays. So, the Summer ground is open for Superstar Mahesh and other heroes. Mahesh is coming with his 25th movie, Maharshi and many producers waited for the producers of the big movie to announce their date. Dil Raju indicated that 25th April is the date they are looking at. Naga Chaitanya and Samantha movie, Majili team locked 5th April. Now, other producers are also locking the dates accordingly, Nani's Jersey is locked for 19th April and Kanchana 3 will arrive on 18th April. Chitralahari, Sai Dharam Tej's next will come on 12th April and in same week, Suriya's NGK might release. Thala Ajith's next Tamil movie is locked for 1st May release and if he will have a Telugu release or not we don't know yet. Well, April seems to be locked and set for now and we have to see, how May will shape up. In any case, this year we may see Superstar's big box office bonanza and some other stars increasing their market potential or completely dead lifeless one altogether! So, Aren't Film Industry People Not Marriage Materials?